As most of you know, the Central African Republic (CAR) continues to be plagued by violence and instability caused by the coup in March. Due to the continuing insecurity, the Evangelical Lutheran Church in America has decided not to send us back to the CAR, for our own safety. The three of us will return to Cameroon this month to gather our belongings, some of which are stored there. Christa will still begin her junior year at the Rain Forest International School in Yaoundé, Cameroon, while we discuss future employment possibilities. This summer, we had planned to visit our supporting congregations scattered across the United States (California, Florida, Illinois, Louisiana, Minnesota, North Dakota, South Dakota, Texas, and Puerto Rico). We were able to visit congregations in Puerto Rico, and some in Illinois, but the rest of our plans are now on hold. We hope to reschedule these visits in September and October, but it all depends on our future employment. Most ELCA projects in the CAR will continue under local leadership, as conditions permit. For more information, or to find out how you can support these projects, please contact Rev. Lanny Westphal at globalmissionsupport@elca.org or Lanny.Westphal@elca.org. The people of CAR need our help now more than ever. We greatly enjoyed the opportunity we had to work for the ELCA in the Central African Republic in water resource development and theological education. We will miss all our friends and colleagues in the ELCA, the Evangelical Lutheran Church in the CAR, and elsewhere in both Cameroon and CAR. Please continue to pray for peace in the CAR. Click here for details on an interfaith day of prayer for peace on August 12. Thank you again for your support of our work in the Central African Republic! 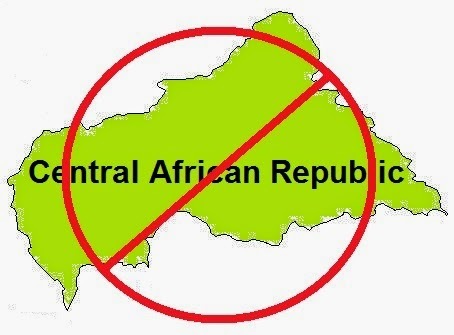 Photo Credit: Edited map of the Central African Republic. Joe and Deborah were ELCA missionaries in Baboua, CAR. Joe is a water resources specialist and Deborah is a pastor ordained by the Presbyterian Church (PCUSA). Their daughter, Christa, is a junior at Rain Forest International School in Yaoundé, Cameroon. Thanks for the updates. You are in our prayers, along with the people and the Church in the CAR. Glad that all three of you have the opportunity to return to Cameroon for a bit. May God's way reign.